One of the more prominent medium-sized game publishers during the NES heyday was Jaleco, originally a scrappy arcade company that gained international success mostly thanks to fresh sports games and lucrative licensing deals. And yet Jaleco was one of those game companies that seemed to leave as quickly as they arrived. In truth, they stuck around for a long time in Japan, but a string of unexpected lows brought on by declining brands and a couple of hard shifts in the game business significantly dulled their competitive edge. 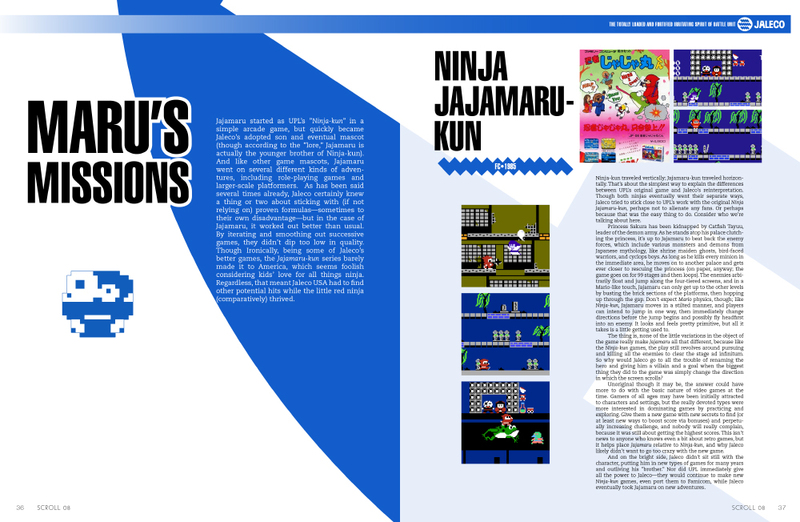 Jaleco isn't quite dead yet -- that or nobody's found the body -- but this issue of SCROLL is a curated journey through Jaleco's history, talking about the highs, all those lows, and everything in between.